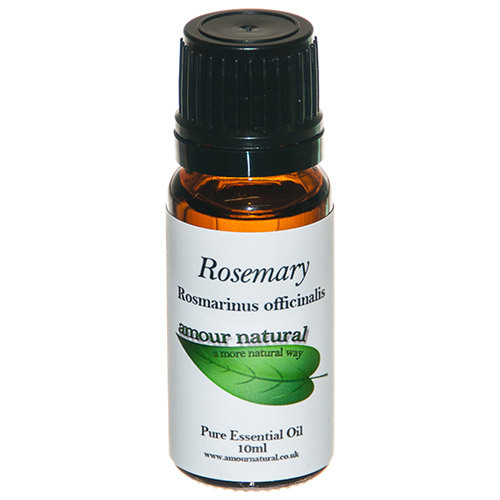 Rosemary is a herbaceous essential oil with a refreshing, woody and balsamic scent. It has a penetrating minty camphorous undertone. Rosemary is thought to be both stimulating and strengthening. It can instantly uplift the body and clear the mind. It is decongesting, clearing and great for toning the skin. The essential oil is extracted by steam distillation from the fresh flowering tops. Rosemary essential oil blends well with spice oils, as well as cedarwood, grapefruit, ginger, lemongrass, frankincense, lavender, basil, thyme, lime, peppermint, orange, and citronella. Avoid if you have a high blood pressure, or if you suffer from epilepsy. 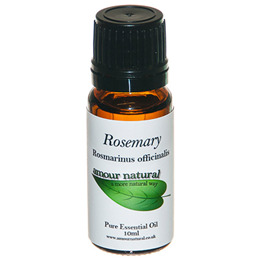 Below are reviews of Amour Natural Rosemary Pure Essential Oil - 10ml by bodykind customers. If you have tried this product we'd love to hear what you think so please leave a review.